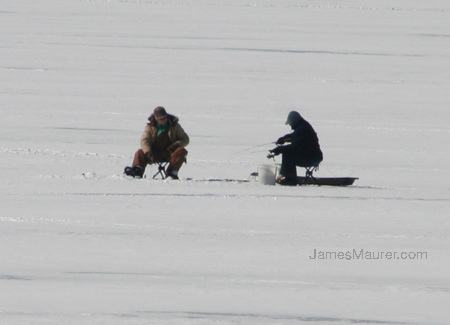 Hollowing out fishing with the way the ice surface. 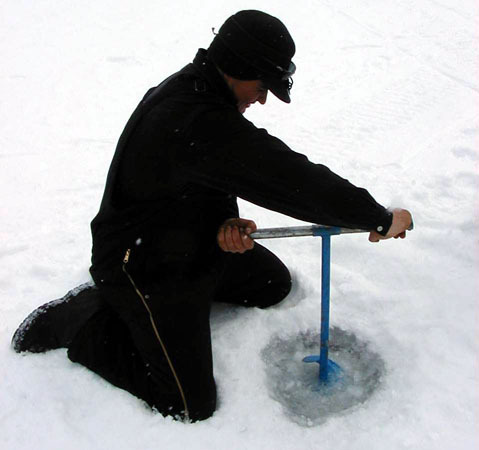 This technique is done at sea or lakes that are frozen due to cold climate in the area. 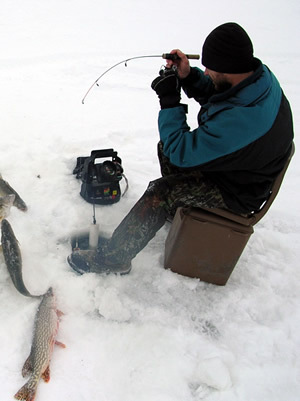 Catch fish in this manner is done by drilling or making holes in the ice so that fishing equipment could get into water through a hole that was created earlier. 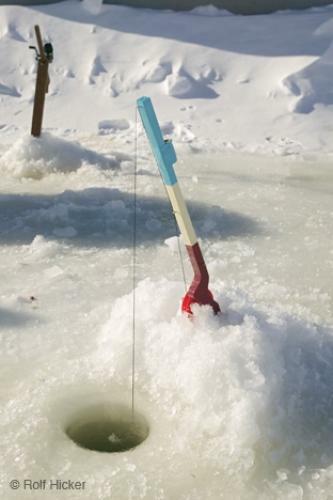 then enter into the eye hook in the hole until the hook through the water under the ice that has been given the hole earlier.